Everyone required to wear any type of Respiratory Protective Equipment (RPE) in the workplace must be face fit tested to ensure correct fitting and protection against substances potentially hazardous to health. 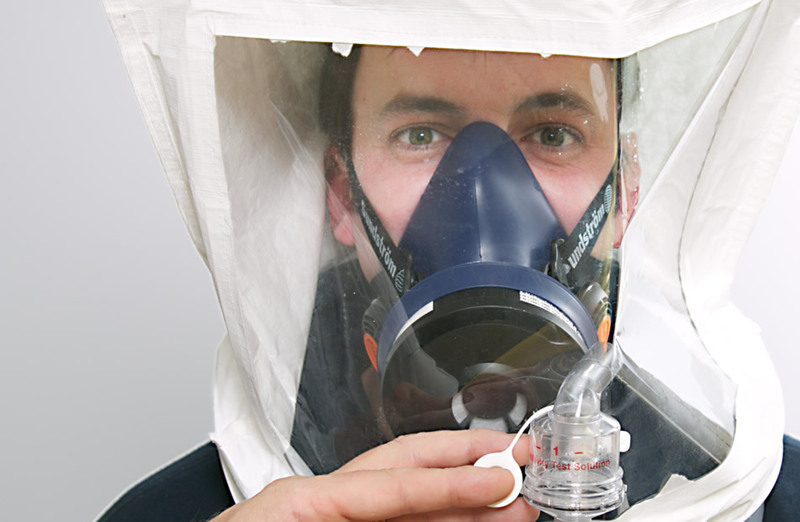 Face fit testing is a legal requirement for anyone who wears a tight or close fitting mask for work. Employers have a legal responsibility to supply employees with Respiratory Protective Equipment (RPE) if a COSHH assessment of the workplace deems it necessary. Employers must provide suitable protection if their employees are at risk of inhaling anything which could affect their health including asbestos spores, contaminated air, chemicals, gases, other hazardous substances or when entering a confined space. Statistics show that ill health is the biggest cause of days lost at work and deaths from workplace injury and ill health are dominated by respiratory disease, accounting for 99% of all workplace deaths. Employers often use RPE as a control measure to reduce exposure to inhaled substances. It can be used in combination with other controls, or as the main control measure itself where the tasks involved do not make other measures reasonably practicable. RPE is typically only provided for short term use and in line with other control measures, for example, exhaust ventilation systems. The reason being is that RPE can lead to communication or visual issues and has proven to be uncomfortable to wear for long durations. Workers who have to use this kind of equipment must remain clean shaven in order to ensure that the masks fit closely to the skin to avoid any potential leaks. If an employee has facial hair for a religious reason, alternative forms of RPE are available. A tight fitting face piece is a full-face mask, a half facemask, or a filtering face piece (commonly referred to as a disposable mask). The performance of these types of face pieces, irrespective of whether they are used in negative pressure respirators, power assisted respirators or compressed air supplied breathing apparatus, relies heavily on the quality of fit of the face piece to the wearer’s face. An inadequate fit will significantly reduce the protection provided to the wearer. Face Fit training courses are usually half a day in duration and teach the delegates about the different masks available, how to choose the appropriate mask to wear and about failures in the equipment. This testing is for any wearer who wears a half-face mask. The test involves the user wearing a hood and tests their sense of taste and smell using a non-toxic agent. This test looks for leakage. This testing is for users of full-face self-contained respiratory masks, like breathing apparatus. The number of ambient particles inside and outside the facepiece are counted. The purpose is to ensure that the mask is correctly fitted with a tight seal around the wearer’s face. If you’re looking for face fit testing courses, then do get in touch with us on 01282 504455 or get in touch here.